Attorney General T.J. Donovan will testify today before the Joint Legislative Justice Oversight Committee in support of expungements for low-level offenses, one of the signature issues of his Community Justice Division. The Community Justice Division has made significant progress in a wide range of criminal justice reform initiatives. Notably, referrals to Court Diversion programs have more than doubled in the past year. Also, the bail reform bill the Community Justice Division advocated for is now law. In addition, the process of seeking an expungement has been streamlined and charges that do not result in convictions will be expunged or sealed rapidly in most cases. The Community Justice Division was created by Attorney General Donovan in 2017. Since July 2017, the rate of referral to all Court Diversion programs in Vermont has more than doubled, from 10% to 24%. The steep increase in Court Diversion participation is the result of statutory and programmatic changes led by Attorney General Donovan. Act 61, passed in 2017, made important changes to the Court Diversion and Pretrial Services programs in order to expand access. The majority of Diversion participants are charged with misdemeanors, such as disorderly conduct, petit larceny, and unlawful mischief. Referrals to Court Diversion programs are made by State’s Attorneys and all Diversion programs are administered by the Attorney General’s Office. “The Diversion model allows individuals the opportunity to take responsibility for their actions, repair the harm they have done, and get the help they need to make their victims, the community, and themselves whole,” said Attorney General Donovan. Once a participant successfully completes Diversion his or her case will be dismissed. Act 61 also created the new Tamarack Program, which provides a court diversion path for individuals who suffer from mental health and substance abuse challenges. Attorney General Donovan has taken a leading role in supporting expungements for low-level offenses. Expungements erase an individual’s criminal record after they have lived without further criminal involvement for a period of time. General Donovan is scheduled to testify today before the Joint Legislative Justice Oversight Committee that the legislature should further lower barriers to expungement by decreasing the fees necessary to file a petition for expungement with the courts. “Expungement is a vital tool for increasing access to jobs and economic opportunity for low-income Vermonters,” said Attorney General Donovan. 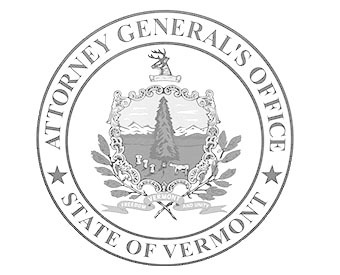 The Attorney General’s Community Justice Division was created by Attorney General Donovan in 2017. It houses and supports the Mental Health Crisis Response Commission, which investigates police interactions with mentally ill individuals in order to promote safer outcomes and protect life and dignity. It also houses and supports the Racial Disparities in Criminal and Juvenile Justice Advisory Board, looking for ways to address and end the injustice of unequal outcomes on the basis of race in criminal and juvenile proceedings. The Community Justice Division also lends assistance to the Vermont NEA’s efforts to cut the school-to-prison pipeline with its Racial Justice Taskforce.